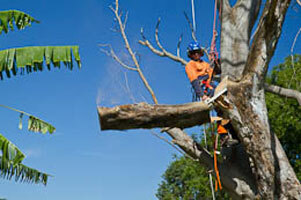 Sometimes clients in Frenchs Forest refer to our tree arborists as "tree doctors" or "tree surgeons". 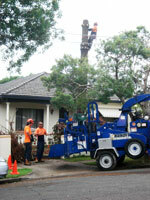 This recognition of skill is greatly appreciated by our arborists, because they love making hard work in the Frenchs Forest area look easy. 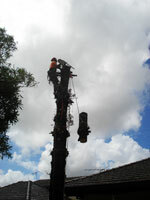 Once a tree has been lopped or removed in Frenchs Forest, there is still the issue with removing the tree stump. Our efficient stump grinding service is the easy way to remove the rest of the felled tree to allow you to plant, concrete, pave, or tile over the removed tree site. There is no better way to make your garden or property in Frenchs Forest drought tolerant and resistant to weeds than laying a layer of mulch on it. The mulch also provides nutrients to the plants as it breaks down while acting a blanket to prevent water evaporation. Our mulch is suitable for almost any garden or property. We can deliver mulch to Frenchs Forest or anywhere in the Northern Beaches for a fraction of the cost of buying it from a nursery.